I ran the Tufts 10K in October 2016, about 5 months after my birthday. It was a good run; I finished about 5 minutes slower than when I ran it 5 years earlier, so I count that as a victory! We went to Iceland in July 2016! It was incredible! I loved it! We both want to go back! You should go! It’s so beautiful! The one thing that I did want to mention is that my little Maggie died last November. I haven’t known how to write about it – mostly because the world has been on fire since she died the day before the 2016 election and those things are so closely intertwined in my heart. She was a good dog, even if she was also a hard dog. I miss her. So I tried. I really really did. And as it turns out, as much as I’d like to be one of those people who can draw cute little things without effort, I just don’t enjoy it. I tried to follow Lisa Congdon’s daily drawing challenge over on Creativebug in February, and got 10 days in before I was bored and disinterested and gave it up. Which is okay! I don’t need to enjoy all the things on my list, right? Libby, Amy, and I went to a Learn to Curl session with the South Shore Curling Club down in Bridgewater last weekend. It was just as fun as I hoped it would be. If you ever have the chance to try curling, I highly recommend it! 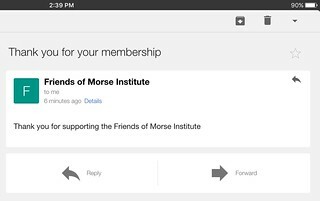 I joined the Friends of the Morse Institute Library. I read a ton of books thanks to the library and really love how their Friends group has made commitments to the library, so it was a no-brainer for me to join.